We’d love your help. 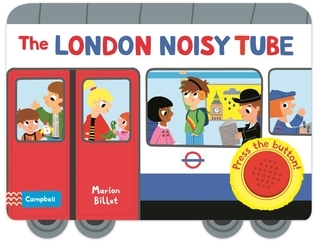 Let us know what’s wrong with this preview of My First Noisy Tube Train by Marion Billet. To ask other readers questions about My First Noisy Tube Train, please sign up. Quite an interesting book to read with children. Love the sound "Mind the gap" although it can get annoying after pressing one too many times. Marion Billet was born in 1982 in Lyon, France. After school she studied children’s book illustration at the Emile Cohl School. Marion Billet has illustrated more than eighty children's books, which have been published in eleven countries. Her work has also appeared in magazines and on stationery, toys, children's furniture, and clothes. She lives in Paris.